Do you work at Apres Bar? What did you think of Apres Bar? My friends and I love going here for a catch up and a few drinks. great place to start the night at. the atmosphere is lively and friendly, exactly what is needed before hitting the clubs! 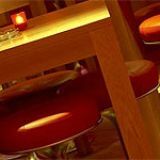 Apres is a relaxed and trendy bar, offering good food and drink. Birmingham centre has two of these but the one at Broadway Plaza has a enviable location away from the main road and close to all the fun activities you want on a wet day in Birmingham. 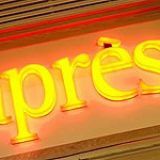 Apres is situated in the centre of the Broadway Plaza leisure complex which offers a solution to the usual parking dilemma because there's a secured car park underground. 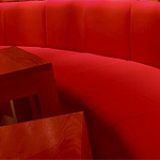 At the front of the bar there are four large comfortable diner style booths to slump down in and relax. They benefit from an open fire so if you're lucky enough to grab one of these booths it's unlikely you’ll want to leave. The seating areas are divided into three sections for some reason and the back area can feel slightly gloomy compared to the stylish entrance. 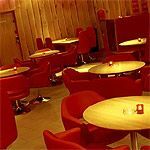 The decor, typical of the Apres chain, is modern classic with bright red as a splash of colour. It's okay but it could do with an update soon as it is beginning to look a bit dated. There's plenty of space to sit out on the terrace when the sun is shining or if it's a bit chilly you can huddle like penguins around the outdoor heaters. What sets this bar apart is its ability to attract such a varied crowd. No doubt this is helped by the fact that it's in the heart of this leisure complex. You get families here finishing off their fun packed day with a tasty meal and then a more up-for-it crowd in the evening. Big football games are shown here but they don’t allow it to completely take over the bar which keeps everyone happy. Apres attracts office workers as it’s an ideal wind-down from a hectic day. 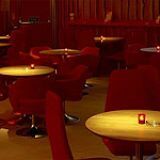 But the winding down can soon turn into a wild night as they tend to crank up the music at 8pm and the atmosphere becomes livelier. By this time people arrive for either a few drinks before moving onto a club or to stay the evening but they aren’t rowdy and unruly as you might expect being so close to Broad Street, they are just out to share a bottle of wine among friends. The service at Apres is adequate but don’t expect a smile from the staff. Apres offers a wide variety of good quality comfort food. Their menu is made up of various pasta dishes, stone-baked pizzas, steaks and burgers. They cater for children and have promotions on particular nights of the week. The food is honestly priced and for a fantastic chicken breast burger with chips and coleslaw you pay £7.70. The burger is huge and the chicken is juicy and grilled to perfection. Drinks can be a little pricey especially if you are buying soft drinks for the children. An incredibly small glass of Coke, nearly completely full of ice, costs £1.30. They offer a good selection of wines and lagers all of which are again quite pricey but they do have special offers such as ‘Happy Hour’ on cocktails jugs and jugs of lager. Overall an enjoyable time can be had at Apres, whether it be daytime or evening, by friends or families, it’s got good food and an enviable location.